I have been talking a lot about link building lately because I am getting great results for a few of my projects. I have written blog posts about Link building strategy and link building mistakes recently. I have shared a blog post about free backlink checker tools as well. A few days ago, I got an idea to list all the tools that can assist you well in your link building campaigns. And, today I am here with the post. If you don’t know what are backlinks, do read the posts that links I have given above to have a good knowledge about it first, and the jump back to this blog post to know the tools that can help you with link building. Link building is an important part of search engine optimization. You can implement various ways to build and earn backlinks for your websites to improve their search rankings in top search engines. As we need some tools to carry out any strategy effectively. Same goes with link building too; there are tools that might be helpful to run your link building campaign smoothly and efficiently. This tool is of very superior quality and ensures better blogger outreach. It is good in generating prospects, and its management is just It does a lot of number crunching for the blogger so that he is focused on doing quality work instead of banging heads with the data and statistics. It scans prospects faster and generates essential social metrics for providing better visibility to the website owner or blogger. It filters prospects and adds contacts to the campaign real fast and allows easy navigation through the prospects database. It is voted the best by many users of SEO tools. It is a quick potential link target generator. It can scan various websites at once and can provide you smooth and quick solutions for building links for the guest blogging, niche directory submissions, and various contests. It saves lots of manual efforts and grant handy solutions for the link builders who need some reliable ways of generating good quality links. Google Docs is not a primary link building tool, but it can help you great because you can manage, organize and collaborate the data with ease. It provides readymade help for data management. A variety of built-in tools come with Google Docs that allow the web promotion specialists to crunch metrics, and leverage URL fully to manage links. Contact management is another lovable feature provided by this most trusted support for building links. This is one of my most favorite tools to analyze backlink profile of It lays a lot of stress on batch analysis. Ahrefs maintains largest backlink index and is updated every fifteen minutes. They have an in-house crawler that guarantees updated results. It provides you lot of data to manage the PR-driven campaign. This tool also provides you analytical feedback on how your content is being spread and perceived in Social media so that you can take steps to ensure better and wider reach. Ahrefs shows you the origin of the links and helps you identify better quality domains that you should target for creating links. The tool is of great help in researching and downloading the information in the desired format. It can help you handle millions of rows of data without any hassle. I mostly use this tool to keep an eye on my blog’s backlink profile. And sometimes I use it to collect linking data of competitors to do reverse engineering. This is an advanced rank tracker and helps you have more precise results instead of mere estimations of rankings. It has extensive analysis based database that helps you ascertain the cause of ranking and find the solution in the form of better link targets. It eliminates all the problematic issues that allow you run your link building campaign smoothly. You can use this link building tool to find the correct exposure of your site on social media. Another improved feature is that it takes into account all the gadgets across which the search for your website is made giving you real and more authentic picture of your site performance. Google Webmaster tool has all the information about how your website’s content is interlinked. It also gives the data of all the incoming links to your site that is great. You can do an analysis to find out whether all the links are good, or a few are from bad neighborhood sites. According to the analysis, you can improve your website’s backlink profile by building more quality links and disavowing the bad links. Search query feature allows you to analyze clicks that take place in Google Search. You can get alerts on critical errors and also helps you find out of Google is understanding you in the exact way as you want it to. Majestic SEO tool is pretty similar to Ahrefs. It gives a clear picture of the origin of links that lead to competitor’s site and helps you understand how to achieve the similar kind of link pool for your website as well. Thus, by helping you identify new sources for building links, this link building tool is an excellent support for driving a lot of traffic to your website. 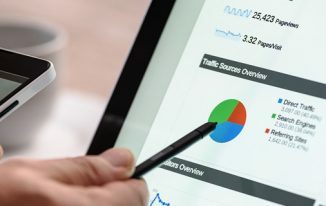 It is one of the link building tools that are aggressive in generating reports and charges certain amount to the user instead of the detailed analytical report provided. It helps you increase your focus on anchor text, linking domains and inbound links thus helping you understand your link ecosystem better. You require upgrading to paid version so that you can get a full record of how the website is performing at social media platform regarding building links. The best thing about this tool is that you can compare your website with your competitors websites regarding DA, PA, Domain linking in, etc. It is one of the most known SEO tools among people involved in online marketing and promotion. It has a nice link-building interface to help you monitor your outreach efforts. The Link Manager tool integrates with Site Finder and Backlink Explorer to allow you to queue links for outreach, and it is just a few click work. The tool makes use of the knowledge about the quality of keywords and suggests better density structure too. This link building tool has some very advanced features in addition to general link checking and backlink assessing utilities. It has a unique feature of automated link processing. It also enhances competitor link profiling by giving clear picture instead of mere guesswork. It provides readily assorted pool of prospecting links and offers you ready-made list when you don’t have time to build a fresh link pool of its own. Ontolo is pretty similar to Raven tools. This is a comparatively newer addition in the market for link building utilities and analyzers. The tool is supposed to carry on the legacy of Wordtracker that is already a reputed name in the world of web analytics. This tool is way cheaper than other reputed link builders and has discrete reporting features, keyword suggestion feature and backlinks analyzing features apart from providing useful information about relevant domains and URLs. It combines the on-site optimization techniques with link analyzing feature. The tool also manages relationships between the web properties and its competitors. The program has tailor-fit programs that suit the requirements of experts reveling in the art of SEO management at different levels. It also metes out free licenses to professional bloggers contributing to various industries. So, add this tool to your arsenal if you value quality above anything else. This tool focuses on comparative analysis of competitors against the target site. SEMRush helps you understand how competitors have planned branding campaigns, organic and paid research campaigns and also which sites and domains they have used for building links. They provide services like site audit, social media campaigns and position tracking. Their tools comprise of graphical analysis, domain-to-domain comparison and keyword density and prominence checker. 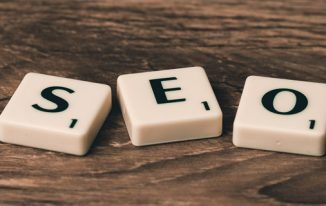 You can have a look on a blog post by Searchenginewatch in that they have said how it can boost SEO in three simple ways. This link building wizard has one of the biggest indexes of external backlinks. It is one of the most happening tools where billions of URLs are crawled and reported daily. More than 15 billion links are added The tool is available free for starters. This tool suggests correct as well as significant backlinks for any site. It also provides precise knowledge of which links can deter a website’s presence. Thus, you can call it a smart back-linking master. Read WebMeUp review we have published long ago. My friend Nikolay has a list of 100 different SEO tools on his blog that you can check here. Tools are always great because it helps you carry out things in more efficiently. These are a few great tools that I have been using for various projects, and getting my works done effectively. Thanks to these awesome tools that are helping well in my link building strategies. I recommend these link building tools to you as well if you are into link building. I hope you will enjoy working with these. This is a small list of link building tools that I have shared as per my knowledge and experience with these. I would like to know which tools you are using for the link building campaigns you are working on. Thank you for the informative article , helpful for the link building. My favorite option is also Ahrefs and Google Webmaster tool. Good to know that you love Ahrefs and Webmaster tool. Try Webmeup as well and you will be thrilled. Thanks for suggestion for webmeup will let you know my feedback about webmeup after analyze it..
Have a good time too. Saurabh Tiwari recently posted…Popular Intex Phones Perfect for Every Budget! Great! Looking forward to your feedback, Saurabh. Hi Atish, I have not heard of most of the tools above and although I heard of Semrush and Ahrefs I don’t have knowledge on how to use them. This awesome article of yours is really a good information for the newbies like me and also for many bloggers who are struggling to find way to know more about the Link building thing. The article is so simple and easy to understand. Time for me to try one by one. Thanks a lot for sharing the information. I am happy that you have learned about some new tools today. Let me know if you want help understanding about any tool out of the list. Thank you for the comment, and all the social sharing you have done. have a great day ahead. I will surely try this out for my further link building process. Thanks Atish for telling about it and sharing these wonderful links. Thank you so much for the comment. I am happy to know that you are already using a few of these tools. Have a great day ahead mate. Recently I too started focusing more on link building, I know still Google is considering link profile as a major ranking factor, in your list of link building tools I am using 3 of them, “ahrefs” as the primary tool next webmaster tool and the third one is SEMrush. Thanks for sharing this information which is essential in ranking search engines, see you soon with another article, have a great weekend. Great to hear that Siddaiah. The three you are using are one of the best tools for sure. Though you can use a few from the list to help you with different things. Thanks for coming by bro. Now I am building backlink for my blog, this post is very supportive for me. Thanks for sharing please keep posting and sharing. Great to know that Rajendra. Thanks for coming by. Thanks for stopping by Fakar. What a great article on link building tools to help us out in our journey of internet marketing. You reviewed each of the 14 tools in such a way where everyone can understand it. Thanks for reading and leaving your valuable comment. I am sure you will gonna use a few tools in near future. Have a great weekend ahead. of many of them,like Google Doc. and Majestic SE, but do not use it anymore. Good to know there ae so many other possibilities. Glad to see you here on my blog again. The tools you use are very popular already. A few in the list are not that popular but they are good too. Let me know if you have problem understanding any tool from the list. Thank you. Thanks for sharing this essential tools. All of them are important in linkbuilding. Hope to see more relevant post from you. Thanks for providing excellent list of link building tools! Every body knows that link building has its own significance in Search Engine Optimization. Indeed this method help us to increase search engine ranking. I am using some of the tools which you mentioned in your post but few of them are new to me. Thank you for stopping by. Yes, SEO is indeed important, and link building is the most important part I think. Thanks for liking the post. I would like to add SEOProfiler to the list. Its a product that has come up only recently and it has worked great for us. Thanks for the addition. Yes, this is a nice tool. It was just slipped out my mind. Thanks for adding it here. Have a great weekend ahead. Very Informative. All this tools are new to me, i didn’t hear this before and i didn’t use any tools for my blogs before. Every blogger knows, link building is one of the most important factor for seo and page rank. Anyway thanks for sharing such an useful post. Thank you for checking out my post, Nirmal. I am glad to knwo that you found it very useful. Greetings for writing such a comprehensive post on link building tool and I would rather call it a compendium of this topic. Things have changed a lot in online marketing and blogging but quality still rules and will be ruling forever so there is no question of doubt on acquiring quality links and for that these tools are great help. Basically there are two types of tools one is acquired which bloggers get but putting their blog link somewhere be it with guest posting, blog commenting or directory submission. Other type is earned links that are gotten by creating awesome contents people can’t resist to mention them further in their posts. The tools you shared help achieve both types of links and it is good to read their very relevant and precise info of each here that helps decide who to pick which one for the best working. Thanks a lot for sharing this wonderful post as you always come up with very valuable and helpful posts. Thanks for sharing your thought on my post. 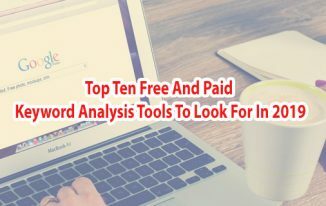 These tools are great for analysis purpose, and based on analysis you can run a profitable link building campaign. You’ve listed some helpful tools to build links, thanks. I have been using few of the tools in this list, but the tools like Advanced Link manager, Advanced web ranking and Ontolo are new to me. I’ll try to make use of these tools to generate backlinks for my blog. Keep your good work. Thanks for checking out the post, Nirmala. Happy to know that you have come to know a few new tools. Happy weekend. Thank you very much for sharing this tool information. I hope that now i would able to make some more back-links for my new website. I would love to come again Atish Ranjan. hi what is name of “You Might Like these” this plugin which you are using in en end of every post. Thanks for coming by. The plugin name is “WordPress Related Posts”. Hi Atish, Thanks for sharing this informative piece. I’m familiar to BuzzStream, Google Docs, Ahrefs, Google Webmaster Tool and SEMRush only. The rest were new to me and their descriptions were a bit difficult for me to understand. I’ll dig and find out more about each one of them. You are already using enough but still if you want to know more about other tools, you can explore them one by one. Do some R&D, and I am sure you will be able to work those as well. Have a great week ahead bro. Thanks for coming by. A lot of people have drifted away from link building because of all the changes Google has gone through, and all the talk about de-emphasis on backlinks. As you point out, though, links are still a critical metric in Google’s ranking algorithm. If you’re using SEO to get your page ranked, link building tools are essential. Thanks for the great list and summaries of each. I have several clients who can use this information for the business model they’re using. I’ll be passing this on and sharing your article. It’s a great resource to have. Links are still hold great value when it comes to rank the web pages. I am happy that you liked the post, and thank you so much for passing this to your clients as well. What a great article on link building tools to help us out in our journey of internet marketing. Hello can you tell me any plugin to decrease size of images for faster page loading time? Hello Waqas, you can use WP Smush tool for compressing images. First of all I would like to thank you for bringing such a great post into publish that is all tools list at one place. Semrush is my favorite when it comes to building links. Glad that you found this post useful. SEMRush is many people’s favorite. I like to see GoogleDocs in this list. I use it extensively but no one has ever mentioned it. I use ahrefs regularly but their free version for now just to test purpose. I have heard very positive reviews of SEMrush so I am going to check it out as well sometime. Google Docs is a very handy tool to carry out various tasks, and when it comes to link building, it is great to keep records and sorting them as well. I am using raven ,aherf and majestic seo since long. As per the insights from my end I can say that all the tools have one best feature, which can be really helpful in SEO task. You have shared very useful details. With the use of the few tools, newbie can easily learn and execute seo process absolutely. Nice tools but the paid one are too expensive for an average blogger or webmaster. Thank You so much for your informative article about SEO Tools, from your list I am using Ahrefs for Link Building. It’s really awesome and wonderful SEO tools I found ever. This article is more than informative. I am happy to know that you loved the article, Avenue. Nice post on link building tools to help us out in our journey of digital marketing. Really good information for the newbies and bloggers who are stressed to find way to know more about the Link building. Very nice written article. But natural link building is more effective than link building tools. I think you have not read the article carefully. The tools mentioned in the article are the tools that help you with link building campaign, they are not to build links directly. Please read again. Really useful article Atish, I just loved Sumrush and Google webmaster tool. This article provide nice information about link building tools. all tools are helpful for the link building. My favorite option is also Majestic SEO and Google Webmaster tool. Thanks for Sharing Very Useful Article , I think ahrefs and SEMRush is best tool for better seo . sandeep kumar recently posted…How to Uninstall McAfee Antivirus Software. 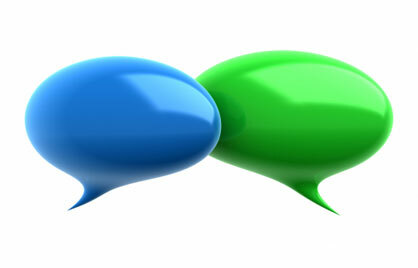 Hi Atish Excellent link building tools u have mentioned. Iam afraid of one thing , did automated link building with GSA is Worthy for our main websites or useful? GSA is fine for short term sites. I won’t recommend it for long term sites. Thanks for your informative article about SEO Tools, from your list I am using Semrush for Link Building. It’s really awesome and wonderful SEO tools I found ever and probably the best one. Came back to your blog after a long time. Was stuck in studies. Muhammad Ahmad recently posted…How Blogging Changed My Life? Good that you are busy with studies. That is more important for you now! I used moz but ahrefs seemed a lot better.